Red is a traffic-stopping color, both literally and figuratively. Red implies importance and relevance. Fire engines and fire hydrants are red, so they are easy to spot in times of urgency. The world’s beloved Christmas man, Santa Claus, is clothed in red. And a lady wanting to make at once a powerful and attractive statement always reaches for the red lipstick. 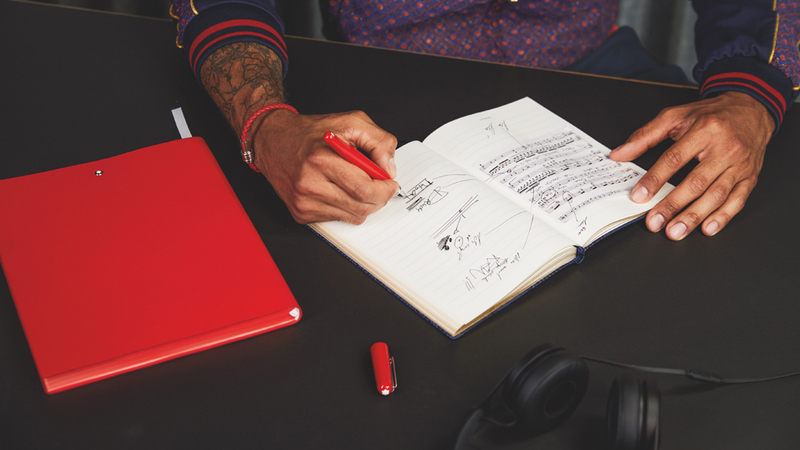 Red is the chosen color for Montblanc’s latest collaborative project with Marc Newson, and the cause that the project supports is important and relevant: the fight to end AIDS. Marc Newson is one of the most awarded and influential designers in his generation. His designs span the fields of manufacturing, technology, transportation, fashion, and luxury goods. Newson has been supporting charities that deal with AIDS and the effects on people living with it. Each time a (MONTBLANC M)RED product is sold, a portion of the proceeds go to Global Fund, an organization committed to accelerating the end of AIDS, tuberculosis, and malaria epidemics. The new (MONTBLANC M)RED writing instrument is a combination of Newson’s biomorphic style and the iconic class of the Montblanc instruments. This is a match made in heaven, giving us a Fountain Pen, Roller Ball or Ballpoint writing instruments with which to make our statement. Newson brings form and function together by ingeniously adding magnetic closing of the cap and barrel to allow sleek alignment when the pen is closed. 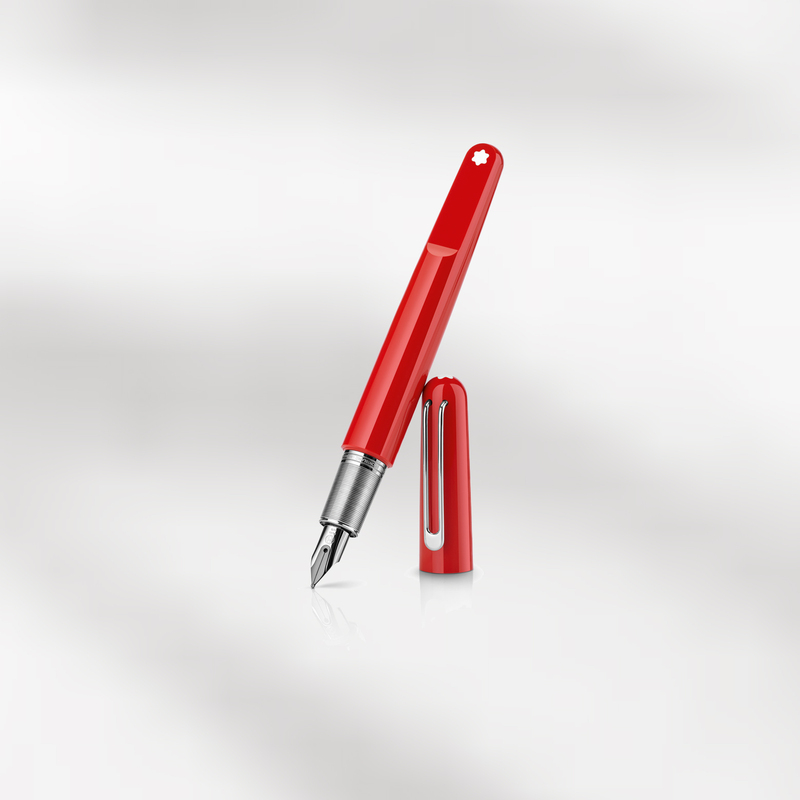 The platinum-coated metal forepart balances the weight of the pen itself, giving you a nice feel when writing. The collaboration extended beyond the writing as the (MONTBLANC M)RED collection also offers additional fiery red accessories. The Sketch Book in red Italian calfskin is perfect for jotting down notes, with your (MONTBLANC M)RED pen, of course, while planning your next project. A gorgeous woven red leather bracelet, accented with the Montblanc’s iconic three rings in stainless steel, is also a striking accent for a lady’s outfit. And for the gents, stainless steel cufflinks with red lacquered inlay will bring a touch of power to your business day.